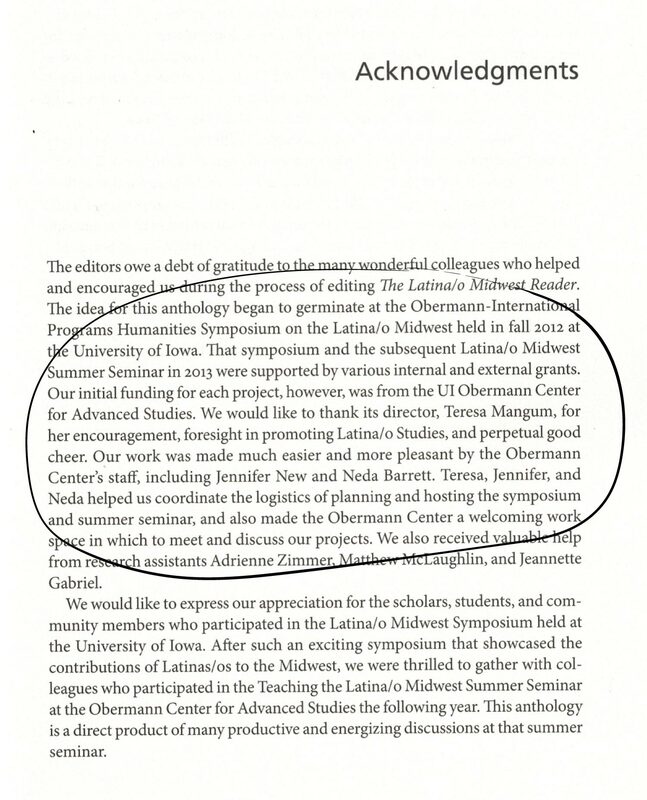 The Obermann Summer Seminar is an opportunity for UI faculty members to lead a major collaborative project with a dozen or more visiting participants that will result in some form of publication or public work. The outcome should make a significant contribution to the fields of the participants, whether as a print or digital publication or in another form that promises real impact. Not so long ago, if you wanted to read The Odyssey, you needed several massive, expensive tomes: the original text, appendices of endnotes, maps, and family trees, maybe even a Greek dictionary. Today, thanks to digital humanists like Sarah Bond (Classics, CLAS) and Paul Dilley (Classics and Religious Studies, CLAS), you can access many classical texts online, for free, with notes about characters, historical figures, places, and words appearing as you mouse over the text, along with maps and network analyses. Last year, in conjunction with an Obermann Interdisciplinary Research Grant, the two developed the project, Big Ancient Mediterranean (BAM), along with Ryan Horne (History, UNC–Chapel Hill). Though it doesn’t yet feature The Odyssey, the site offers information about a number of Latin texts, from Virgil’s Aeneid to Augustine’s Confessions. Open-access projects like BAM—that is, free, open-source, publicly accessible online tools—have become essential to digital humanities research, as they allow scholars to collaborate easily and reach a broad audience. “If we’re using closed tools that only certain people can afford,” says Bond, “then our projects will be accessible only to a small group within the academy. Because BAM focuses on texts that a lot of people are interested in—for instance, the Bible—we want it to be public-facing and to integrate academics, students, and the general public.” Dilley adds that digital tools allow scholars to test old hypotheses as well as to generate new material and new perspectives, citing “distant reading” approaches that use algorithms to find patterns within and across texts. To forge connections between BAM and other digital humanities projects and to give digital scholars working across fields an opportunity to share their expertise and establish best practices for their projects, including a common vocabulary for linked open data, the three organized a public conference, Linking the Big Ancient Mediterranean. The conference featured 11 scholars from across the world who have developed open-source projects that help scholars better study classical texts. These researchers shared their work with 15 fellow scholars of classics, geography, GIS, world languages and literatures, and the spatial humanities, discussing both the advantages and challenges of using linked open data in humanities research. Twenty presentations covered everything from GIS, mapping, and 3D modeling to the development of open-access archives for literary correspondence and data related to the study of coins and currency. Bond, Dilley, and Horne hope to publish the proceedings of the conference in an open-access online journal that would provide, in Dilley’s words, “a ‘cookbook,’ or set of instructions, for creating digital projects using linked open data related to the ancient world.” As for BAM, the three plan to use what they’ve learned to improve the usability of the site’s various modules—specifically, to redesign its visual interface and incorporate new functionality (e.g., innovative textual search features in BAM’s Iowa Canon of Latin Authors). They also plan to apply for NEH funding during the next academic year. View the conference’s lively Twitter feed: page 1, page 2, page 3. Katina Lillios (Anthropology, CLAS) received an NEH Fellowship for a new book on the prehistoric heritage of Iberia. She co-directed our 2006 Summer Seminar, Comparative Archaeologies. 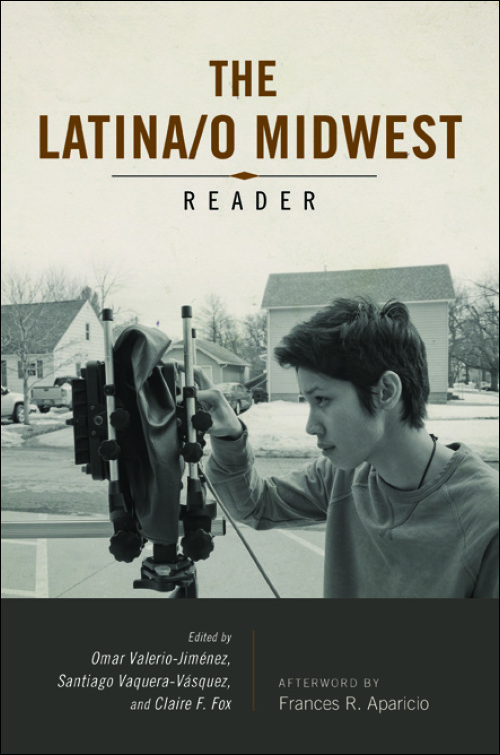 Omar Valerio-Jiménez, Santiago Vaquera-Vásquez, and Claire F. Fox, co-directors of the 2013 Obermann Summer Seminar, Teaching the Latino Midwest, published The Latina/o Midwest Reader (University of Illinois Press, 2017), a collection of interdisciplinary essays that explore issues of history, education, literature, art, and politics defining today’s Latina/o Midwest.